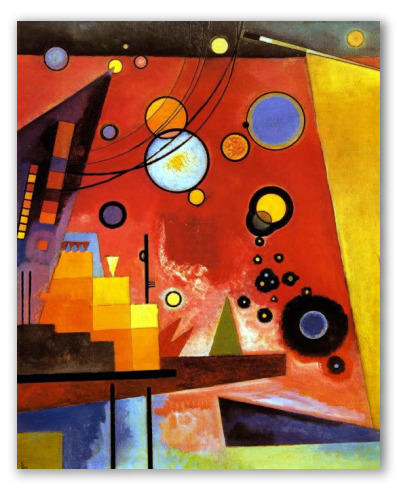 "Heavy Red" by Kandinsky, Painting of Circles and Squares. 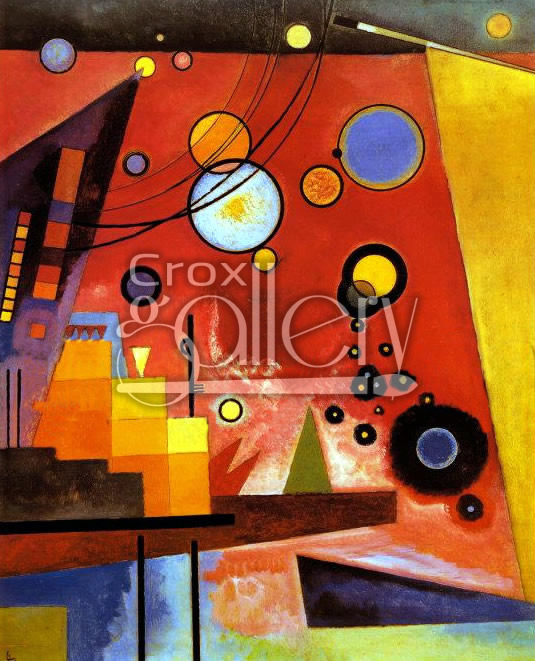 In this painting, Wassily Kandinsky creates a great work of art in which we can see circular and square shapes in bright colors. The painting is a good example of lyrical abstraction, a style in which the artist was very influential.